Nine New Zealand secondary schools participated in the OtagoNet project, using videoconferencing technologies to deliver courses to multiple sites. This paper reports findings from a study conducted between 2001 and 2004 to evaluate the effectiveness of OtagoNet. It was found that videoconferencing technology had a significant impact on pedagogy and teaching styles. Also, the use of videoconferencing in and of itself did not necessarily increase teacher-student or student-student interaction. The importance of the teacher in implementing and integrating technology into the learning environment was highlighted in this project. Lai, K.W. & Pratt, K. (2009). Technological Constraints and Implementation Barriers of Using Videoconferencing for Virtual Teaching in New Zealand Secondary Schools. 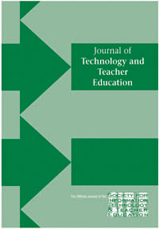 Journal of Technology and Teacher Education, 17 (4), 505-522. Waynesville, NC USA: Society for Information Technology & Teacher Education. Retrieved April 23, 2019 from https://www.learntechlib.org/primary/p/28282/. Anderson, T. & Rourke, L. (2005). Videoconferencing in kindergarten-to-grade 12 settings: A review of the literature. Athabasca, AB, Canada: Athabasca University. Chen, Y., & Willits, F. (1999). Dimensions of educational transactions in a videoconferencing learning environment. The American Journal of Distance Education, 13(1), 45-59. Gerstein, R. (2000). Videoconferencing in the classroom: Special projects toward cultural understanding. Computers in the Schools, 16(3/4), 177-186. Heath, M. J., & Holznagel, D. (2002, October). Interactive videoconferencing: A literature review. Paper presented at the K-12 National Symposium for Interactive Videoconferencing, Dallas, TX. Holmberg, B. (1989). Theory and practice of distance education. London: Routledge. Kinnaman, D. E. (1995) The future of distance education. Technology & Learning, 15(4), 58. Lai, K. W. (2008). ICT supporting the learning process: The premise, reality and promise. In J. Voogt & G. Knezek (Eds. ), International handbook of technology in education (pp. 215-230). Berlin: Springer. Lai, K. W., & Pratt, K. (2004). E-Learning initiative: Evaluation of the OtagoNet project. Dunedin, New Zealand: University of Otago. Lai, K. W., & Pratt, K. (2005, July). OtagoNet: A videoconferencing network for New Zealand secondary students. Paper presented at the 8th IFIP World Conference on Computers in Education. Stellenbosch, South Africa: CD-ROM. Lockee, B., Hu, D., & Burton, J. (2005). Getting connected: IP-based videoconferencing in k-12 schools. Distance Learning, 2(6), 9-12. Maykut, P., & Morehouse, R. (1994). Beginning qualitative research: A philosophic and practical guide. London: The Falmer Press. Motamedi, V. (2001). A critical look at the use of videoconferencing in United States distance education. Education, 122(2), 386-394. Piper, T., Sevens, K., & Piper, D. (1999). Answering the needs of rural communities: The virtual high school of Newfoundland and Labrador. Proceedings of the WebNet Conference on the WWW and Internet 1999 (pp. 1395-1396). Chesapeake, VA: Association for the Advancement of Computing in Education. Salvati, J. (2001). Reflections on a 10 year distance learning project: NYClassnet. Education, 122(2), 276-282.